Dr. Felipe Galvez Castro was preceded in death by his beloved wife, Belen. He passed away peacefully on July 18, 2016. Born May 1, 1923 in Plaridel, Bulacan, Philippines. Survived by five children, Teresa (Vic Pineda), Marian (Kirby Nelson), Philip, Edwin and Michael (Ellen Yun). 7 grandchildren, Christine, Karina, John, Kristopher, Nicholas, Nicole and Kailey; and 5 great grandchildren, Brandon, Austin, Jaden, Evelyn and Alana. Felipe earned his M.D. degree from the University of Santo Tomas (UST) in Manila. 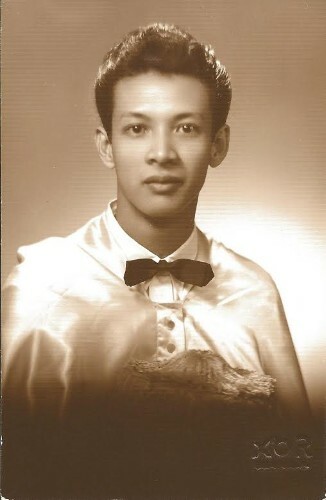 After graduation, Felipe began his private practice as a physician and professor at UST and Letran College. His family immigrated to the US in October 1974 and settled in Seattle. Felipe led an incredible life and will be missed by the lives he has touched. 1) Rosary and viewing will be held on July 25, 2016 at 4:30pm at University Lutheran Church, 1604 NE 50th St., Seattle, WA. 2) Viewing, rosary and a special mass celebrating Felipe's life at St. Mark Catholic Church, 18033 15th Ave. NE, Seattle, WA on July 26, 2016 at 10:00am. Interment to follow at Holyrood Cemetery, 205 NE 205th, Shoreline, WA.
. . . Mrs. Nelson BSN/RN and Families:Thinking of You All with Deepest Sympathy, Dr. & Dra.now together in Heaven, Angels on Earth, now Winged & Haloed, 24/7, Bright and Shining Stars ! ! ! RIP . . .